At Kite Club Hatteras, we not only offer expert, fun and safe kiteboarding lessons, we give you the full kiteboarding lifestyle experience. Whether you are a beginner or an experienced kiter, you are welcome to join us in our beautiful island houses while we help you discover great kite spots, and introducing you to our kiting community. 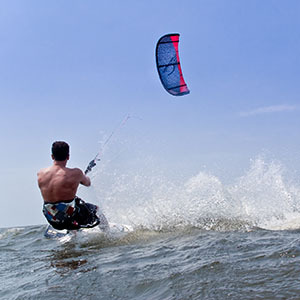 Hatteras is a natural choice for kite vacations with great wind, the famous shallow Pamlico Sound and great wave riding just on the other side of the road. When the wind is down, you can enjoy the pumping surf or stunning sunset paddleboard sessions. The toughest part is leaving the island and counting the days until next trip! Our kiteboarding lessons use boats and jetski. This allows us to offer you more kite choices to adapt to changing weather, refreshments on the water, and a comfortable spot to take a break mid-lesson. Our school gear features new, current year Cabrinha Switchblade kites, premium Mystic harnesses, and a wide variety of boards for every wind condition and skill level including Cabrinha, Xenon, Aggression, Jimmy Lewis and Light Wave. We offer lessons in several languages including English, Russian, Bulgarian, Spanish, Portuguese, and French. Your lessons with us will give you the perfect start to getting up and riding independently, and during your stay you will be surrounded and supported by a great group of people with whom you can share your riding experience and a cold post-session beer with! The riders of Kite Club Hatteras have been surfing the shores of Hatteras Island for years! After discovering the perfect kite conditions on offer, we found ourselves driving to the island almost every weekend. In 2010, we set up a permanent kiteboarding school and accommodation in Avon on Hatteras Island. We know the wind patterns that prevail on the island and take our students to the best and safest locations to learn how to kiteboard or to improve their kiteboarding skills. We are an IKO affiliated center with a team of instructors that are professionally certified and teach kiteboarding year round. 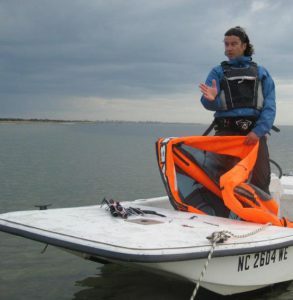 Originally from Bulgaria, Christo is the founder and owner of Kite Club Hatteras. 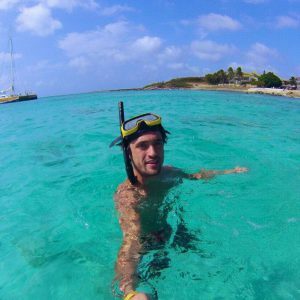 With 12 years of experience kiting, he has taught and kited all around the world, including Bulgaria, Spain, Dominican Republic, Panama, Mexico and Peru. Christo’s teaching style is safety focused and relaxed, ensuring students are comfortable and learning quickly! Melissa travelled to the Outer Banks in 2010 and was captivated by the nature of Hatteras and the lifestyle. While her first love was kiteboarding, she became just as passionate about surfing and stand up paddleboarding. Melissa would be happy to take you on a SUP lesson or tour, or show you her favorite kite and surf spots on the island. 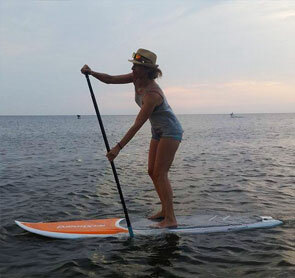 G is our veteran instructor with 4 years of experience teaching in Hatteras and in Mexico. He will make sure to create an efficient lesson plan designed just for you, with a good sprinkling of British humor on the side! Kevin is our newest instructor from Brazil. He has been living in the USA for 7 years, has been kiting for 9 years and his favorite kite spots are Cape Hatteras, NC and Ibiraquera Brazil. You’ll enjoy his laid back teaching style, easy to follow lesson plans, and good vibes! How do I get to Kite Club Hatteras? Norfolk, VA is the closest airport to us, second is Raleigh, NC. Renting a car is the best way to get around, because public transportation is scarce. Can I rent equipment from you? Our insurance does not allow us to rent kites, we do however rent boards, wetsuits & harnesses. We also have new and used equipment available for sale. What are the wind and water conditions like in Cape Hatteras? The prevalent wind April — October is Southwest that is driven by thermal effects which starts in upper teens in the morning and builds to 25 in the evening. Early Spring, late Fall often brings the colder Northern winds. The unique shape of the Cape allows for kiting in almost all wind directions. What kite spots are near Kite Club Hatteras? What other activities can I do around Avon? Do you have any work opportunities available? Yes! We welcome fresh talent, energy and ideas… Please reach out to us via email to let us know what you can offer and any skills that might also be a bonus.